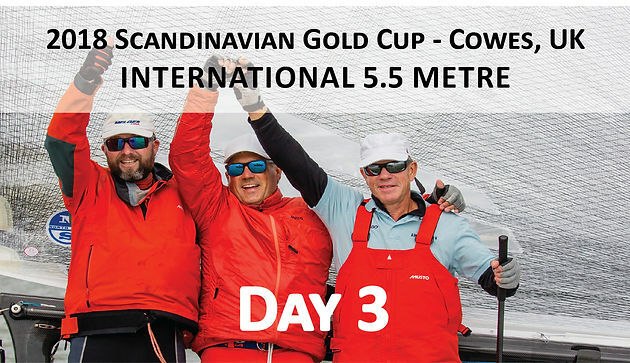 One race was all that was needed for Artemis XIV, NOR 57, (Kristian Nergaard, Kristoffer Stone, Trond Solli-Saether) to win the Scandinavian Gold Cup on Friday, at the Royal Yacht Squadron, with a one-on-one match race against Marie-Françoise XIX, SUI 218, (Jürg Menzi, Jurgen Eiermann, Bo Selko). Only the previous race winners move forward to this final stage and the first to win three races wins the Gold Cup. 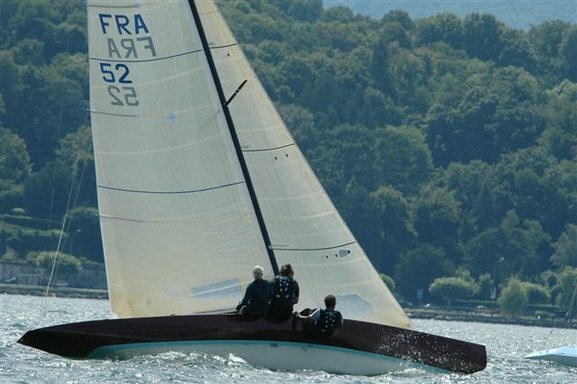 Artemis XIV only needed one more win to secure victory; Marie-Françoise XIX needed two wins. 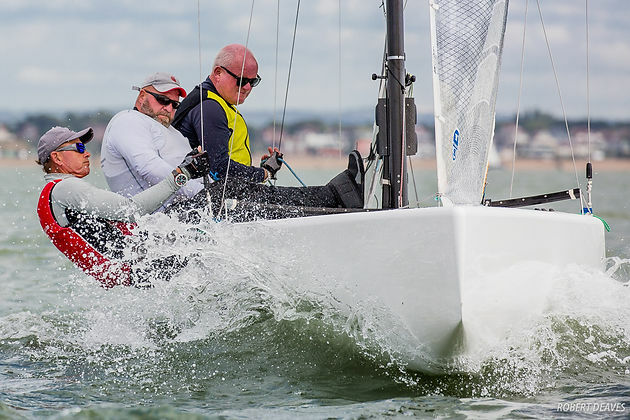 However, the two former champions needed just one light wind final race, which the Norwegians led from start to finish to make it three race wins in a row, and take home the 99 year old trophy to Norway. 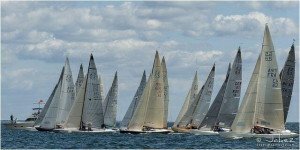 The conditions were in complete contrast to the previous day with sunshine, and a short postponement waiting for the light breeze to arrive. 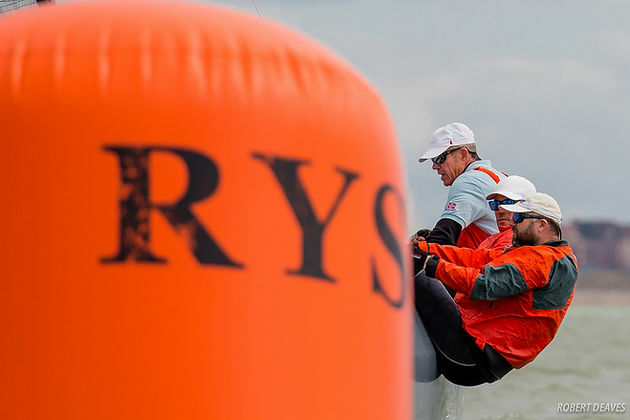 After a few match race manoeuvres, Artemis XIV started above Marie-Françoise XIX and controlled the race all the way. At the first mark, she was 20 seconds ahead and extended this on each leg to win by around 90 seconds. As usual the current played a decisive role. 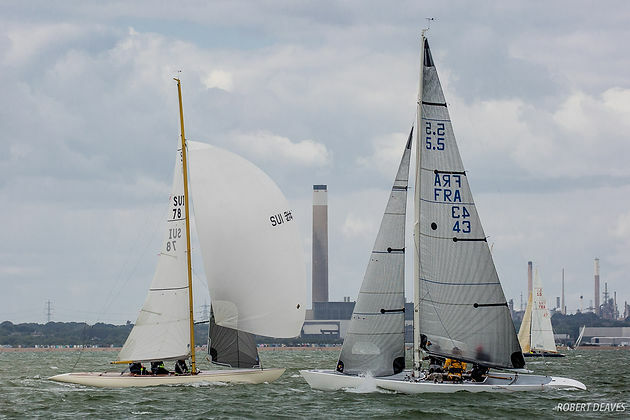 The wind built through the day, allowing the other fleets some great racing in the Solent, with enough sunshine to make it rather pleasant. Friday was also the first day of the Kings Cup. 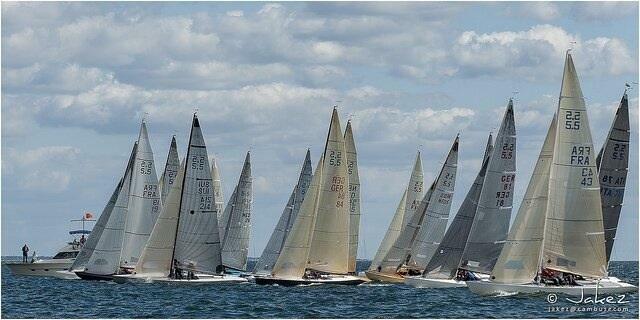 New Moon, BAH 21, (Mark Holowesko, Christoph Burger, Peter Vlasov) took both races without too much trouble. 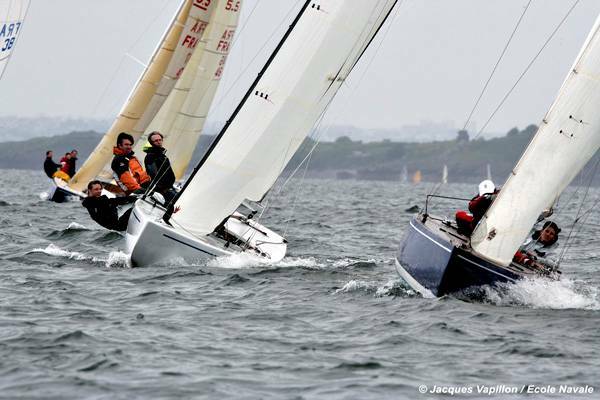 Joker, FRA 50, (Eric Polaillon, Adrien Polaillon, Antoine le Foyer de Costil) leads the Hankø Evolution Cup after sharing the race wins again with Auguste 1er, FRA 47, (Gurvan Jaouen, Anne Jaouen, Mael Duigou). In the Classic fleet Carabella, ITA 73, (Alfredo Delli, Gianluca Marolli, Claudio Mazzanti) has a two-point lead over Belphegor, SUI 78, (Bruno Engel, Antonian Bocherens, Bruno Allamand) after they picked up a win each for the Royal Kaag Classic Cup. All three series conclude on Saturday. 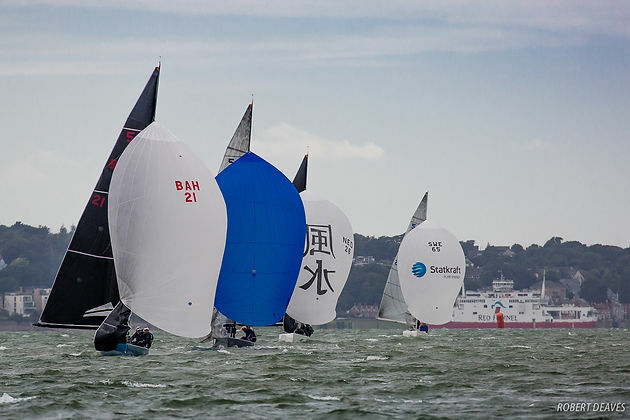 The sailors get a day off on Sunday, before the serious business of the world championship begins on Monday and runs through to Friday next week. All results so far can be found here.